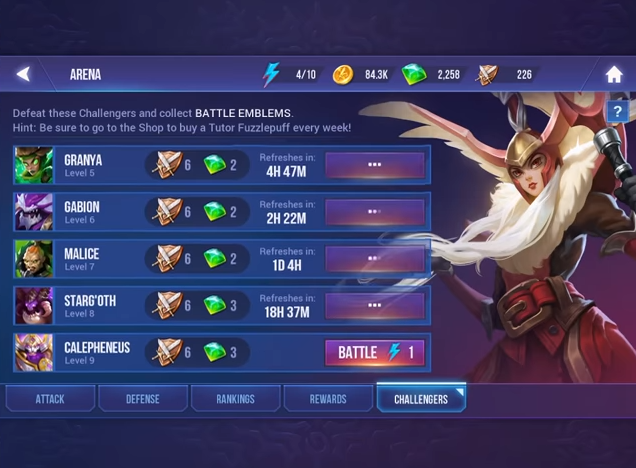 This guide is designed to show you how to earn as many free gems as possible in Dungeon Hunter Champions. It’ll cover different ways you can obtain free gems and the best way to utilize the methods. 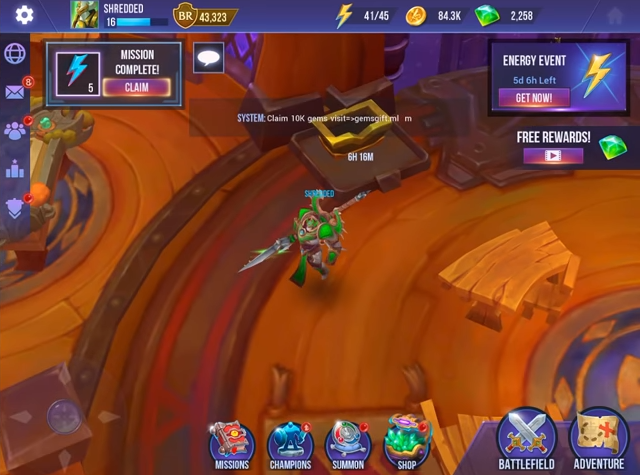 In the hub world of Dungeon Hunter Champions, there is a chest in the top left of the map. This chest rewards you free gems every day. So when you use it one day it will refresh in the next 24 hours. So you can benefit by getting gems from this chest every single day. In the shop, there are two methods of getting free gems. 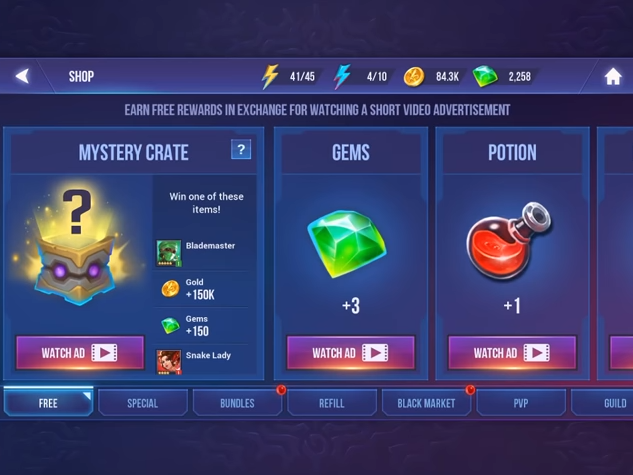 First is through the Mystery Chest which gives you a random item by watching an Ad. 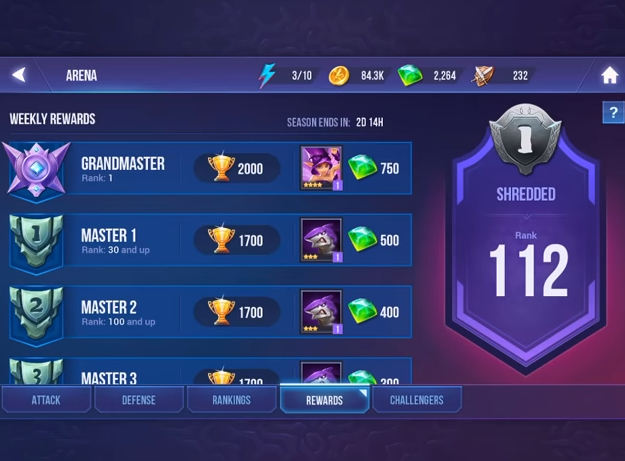 There is no guarantee that you’ll get Gem’s by doing the Mystery Chest but you have the chance. And since it costs nothing but a couple minutes of time there is no reason not to do it every day. The other shop method is the actual free gem option. It gives you 3 gems 3 times a day by watching ads so you can effectively make 9 gems per day this way. To get gems in PvP you want to challenge your rivals which can be done by resetting their counters. To reset the counter of a rival you watch an Ad and this can be done up to 3 times a day. You have to make sure you’re far enough in the game to have PvP unlocked of course. Once you have your rival’s timer down you can challenge them to a battle. When you defeat them you will get the gem reward listed by their name. 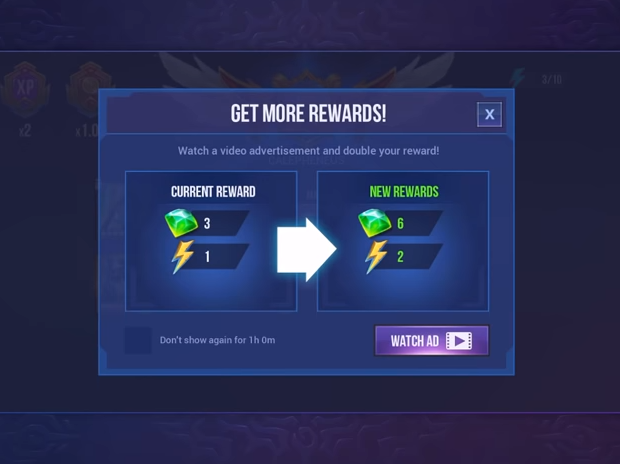 But you also have the chance to double the number of rewards you get at the end of the match by watching an ad. You can do this up to 3 times per day so if you’re doing challenges that each gives you 3 gems then you can double each one to 6 instead. This will effectively get you 18 gems per day. The Arena gives high gem rewards for players who play high in the competitive scene. By placing in the top numbers of the leaderboard you can net big chunks like 500 or 700 gems. Naturally, for the Arena, you’re going to want to use your highest ranking and highest grade units to be effective in it. This is a method that’ll take time and practice to get efficient at but it definitely pays off in the end. This goes of 5v5 PvP as well. Its ranking system is slightly different but it follows the same method as the Arena. Missions are the easiest way to get some gems daily and all you need to do is the daily missions. 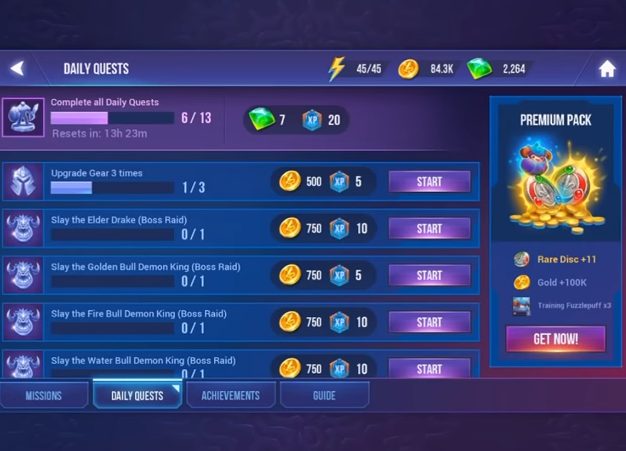 By completely all daily missions you will be rewarded with a few gems after completion. The daily missions are simple tasks you should be doing in your daily gameplay anyways. They offer good rewards for XP and Gold so they’re worth the effort. 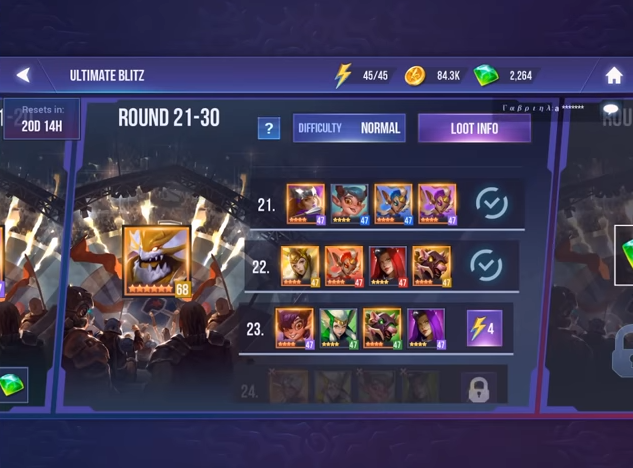 In Ultimate Blitz you will go through different rounds that give different rewards. They aren’t random so the rounds that give gems will always give you the chance of dropping gems in that round.